Let us get you on the shelves! Imagine having your very own full service sales team including key account managers, a broker, VP of Sales and regional account managers, all for the price of one salesperson. Edge Beverage Consulting was developed by an industry veteran who was looking help suppliers get to market at significant savings. We create a competitive advantage for beverage companies seeking professional representation and sales support by use of the fractional services model. Fractional Services makes sense for small and mid sized brands to employ the services of a National Accounts executive team at a fraction of the cost of a salary (+$100,000/yr), commission and benefits. More and more brands are seeing the benefits of this business model and have shifted away from traditional hiring. ​The team at Edge Beverage has decades of experience in national accounts and distribution management that we can share with our brands. Here are some questions you should ask yourself and your distribution partners about your brand? How do your potential and current customers perceive your brand? How are your potential customers finding your brand? Is your distributor making the most of your brand and your retail placements? Are you with the right retail partners? Are you currently sold in the right markets? Are you looking to expand your distribution network outside your current markets? 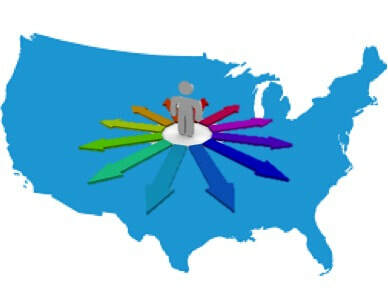 We can assist you in growing into new markets, regions or states. We have extensive distributor relationships across the country that we can present your brand to for consideration. Let us help you grow your brand and build your network. Making sales into retails chains is only the fist step in building a brand. Supporting that brand in each market is critical, that is where we count on the hard work of our Brand Ambassadors. We count on the assistance of contract sales people in different markets when brands need "boots on the streets" and direct Brand Ambassadors that help our clients brands grow at the local level. We coordinate promotions, in store tastings, demos, and distributor support in select markets. If you brand needs that extra push, we are here to help as well! If you are looking to grow in specific markets, we can provide you a sales force and presence to assist your distributor with sales, promotions and in store merchandizing .